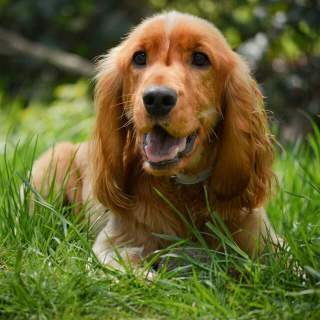 The cocker spaniel is a popular small dog breed which is known for their cheerful attitude and beautiful coat. The breed is the smallest dog in the sporting group category, which makes them an easier dog to travel with and keep indoors than many other sporting breeds. Cocker spaniels are intelligent, loving, trusting dogs. 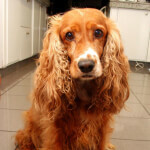 They have a strong desire to please and are excellent with children and other pets. The breed enjoys playing, but since they are a sporting breed they retain strong hunting instincts and will go after any bird, squirrel, or other small animal they see in the yard. In fact, the breed was named after their excellence at hunting the woodcock bird. Below are the characteristics and traits of the cocker spaniel dog breed. Fully grown the cocker spaniel stands 15 inches tall and weighs 24-28 pounds which makes them the smallest breed in the sporting category. Their smaller size makes them ideal for apartments and condos as well as a great companion dog for the elderly. 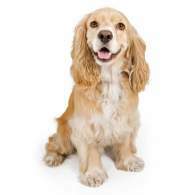 Cocker spaniels are known to have a loving sweet temperament. They love being involved with family activities and do well with children, other pets, and strangers. 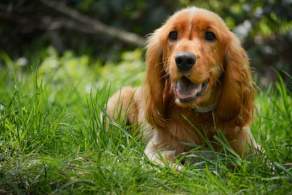 The breed is considered to be overbred so it's recommended to pay careful attention to the breeder's reputation as cocker spaniels coming from unprofessional breeders tend to have different temperaments as the breed's standard. 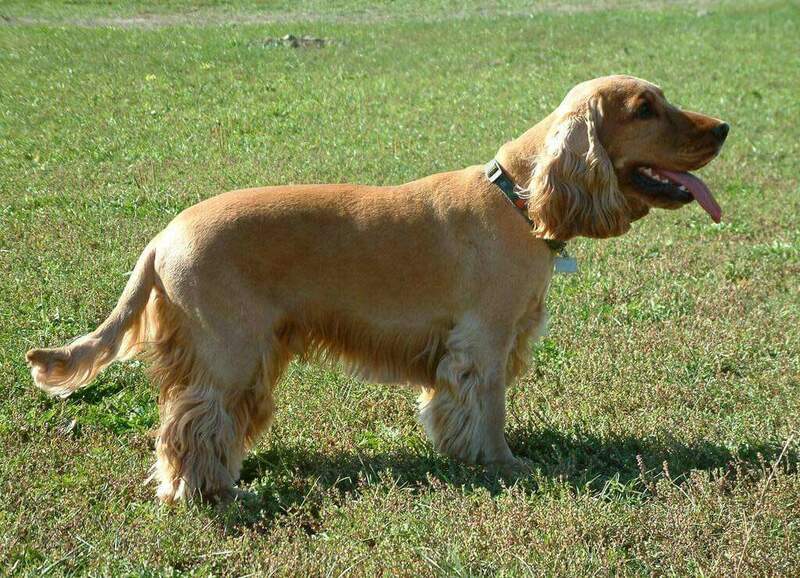 The cocker spaniel is well known for their beautiful coat. 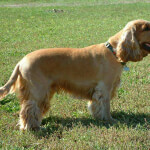 While the thick wavy coat looks fantastic, it can be a burden to groom. The breed requires daily brushing and coat maintenance as well as a thorough bath, clipping, and brushing every six weeks. 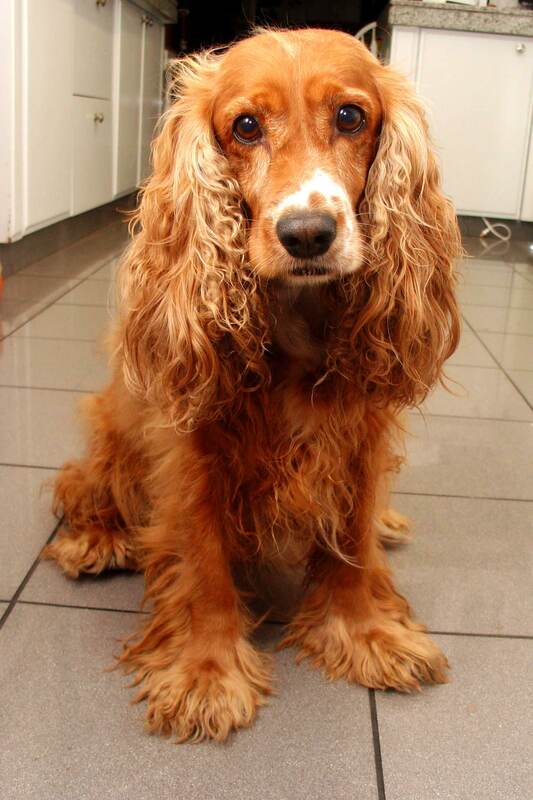 Due to the heavy maintenance, many owners opt for a professional groomer, which can be costly. Cocker spaniels need daily exercise, but since they are a smaller breed they can meet their exercise requirements with a 30 minute walk. 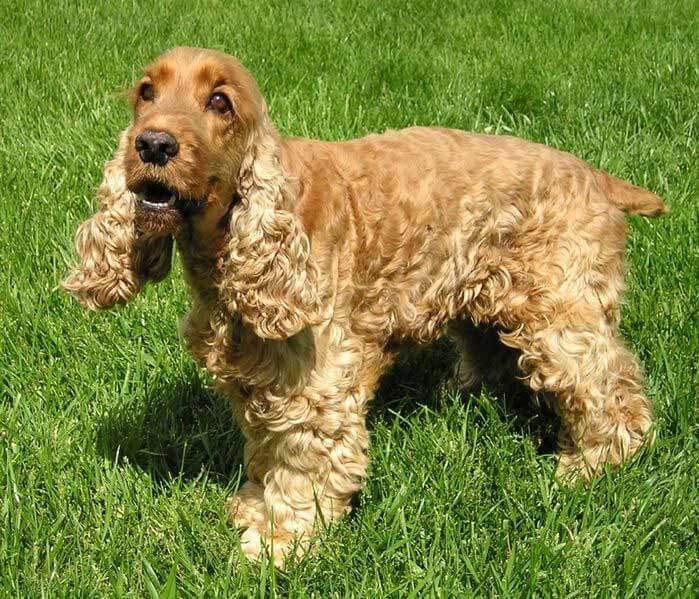 Below are common cocker spaniel coat colors. 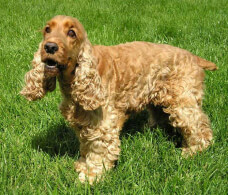 Below are pictures of the Cocker Spaniel dog breed.